The future has finally arrived! There is a paradigm shift taking place across this great nation of ours. People are fed up with big business and are returning to old world skills and ways. This guide embodies this movement and will empower you to start creating more of your own products, naturally. 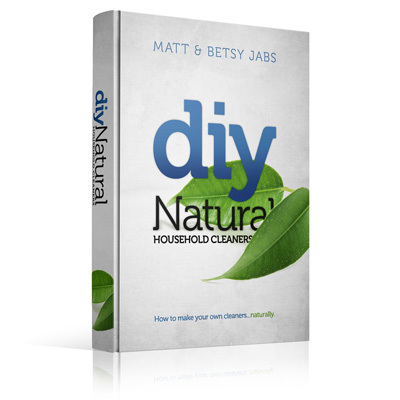 The Homemade Cleaners Guide is an investment that pays for itself in no time, and many times over. Betsy and I prove that every time we go to the grocery store. Even if you use just a few of its recipes you’ll start saving every time you shop, because you won’t have to buy any of the cleaners you’re now making. As an example, the average American household does 400 loads of laundry each year – our homemade laundry detergent recipe delivers a $68 savings each year, and that’s only 1 of the 60+ recipes in the guide. The more you make the more you’ll save. Beyond the savings aspect, you can use this guide to increase stewardship of our resources, make money, make gifts, build relationships, promote health, and so much more. Go here for more info or to purchase the Guide. I would really like to see how to make Dawn Dish Soap (b/c it cleans so well) and how to make Loundry Enhancer Crystals (like Purex) that are safe for HE washers. Thanks! I made the dishwasher detergent, it seems to work but what can I use for tea stains? Diana, I use baking soda to soak my tea pitcher in and for the stains that dont come out with soaking I just scrub that spot with a little baking soda dabbed on my sponge. I rally like the laundry detergent. Gave some to my son in college who is trying very hard to save money. He liked your shampoo and toothpaste. I make up your mouthwash and use it regularly. I also use the toothpaste recipe. Made up the concoction for the overnight toilet bowl cleaner. That worked well also. Thanks for the book. Thanks for the testimonial Joan, we’re so glad you’re finding it useful! God bless. I reread the directions and realized that I made the mistake. So I apologize for that question but have a new one. I like the ice cube tray approach so I leave out the salt with that one? Will my dishes get as clean or should I throw in a teaspoon of salt with every load? I really like your book. Have already tried your laundry soap. Will continue to use it. I’m a little confused on the dishwasher detergent. Do you add citric acid to the ingredients when you want to make them in the ice cube tray? (Leaving the rice out for that makes sense.) 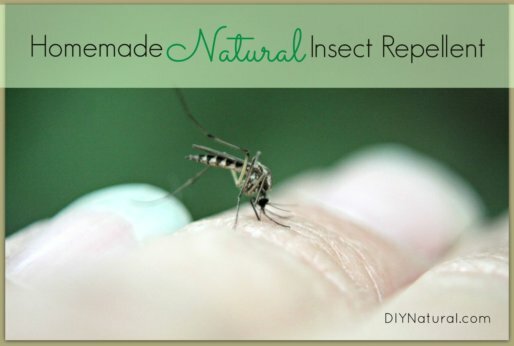 I’m looking forward to trying to make my own ready wipes. I noticed you didn’t mention anything about toothpaste or mouthwash? I’m looking forward to making mouthwash when I get my essential oils. Thanks for a great book. Hi Kay, glad you like the book! If you want to use ice cube trays then yes, definitely add the citric acid (with no rice) to make them harden together. If you don’t use trays then you can use the rice to retard some of the clumping, or you can simply wait to add the citric acid on a per load basis, which allows you to avoid clumping altogether. Hope that helps, and thanks for supporting our work, we’re very grateful!